In the middle of his term, Argentinian president Mauricio Macri cannot hide the monumental abyss between his promises and reality. The promise was of an influx of dollars to lower inflation, with high growth, job creation, an entrepreneurial boom and eradication of social assistance. A drastic reduction of the fiscal deficit and a flow of money for public works through the ending of corruption was also predicted. It was also proclaimed that the “return to the world” would be rewarded with huge productive financing and an expansion of exports. 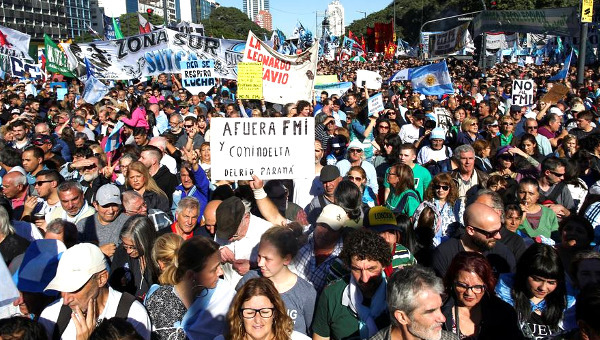 Protest in Buenos Aires against the Argentine government’s negotiations with the IMF for a $30-billion loan. The failure of these forecasts was very visible from the beginning. Hence the government moved the take-off to the second half of the year and then postponed it to the next year. Now it disguises his meagre results with new tricks. The spokespersons for the ruling party, Cambiemos, present the reduction of inflation, which initially doubled, as a great achievement. The percentage over the two-year period reached the very high level of 73%. The goal for 2016 was 12% and it was 41% and the guideline of 17% for the following year ended at 24%. With the single exception of a peak in 2014 (38%), inflation under the Propuesta Republicana (PRO), exceeded all averages since 1991. The absence of credible data during the preceding decade does not preclude corroborating that conclusion, with numerous alternative estimates. The data from some investigations (CIFRA, 2018) belies the announcements of the government. What Macri presents as an unusual “invisible growth” is the well-known rebound that succeeds falls. Computing the 2016 recession (-2.2%) with the recovery of 2017 (2.9%), the result is neutral, and the level of activity is located at the same level as 2015. The increase in employment is not large and it simply reflects this movement. It also includes the replacement of stable jobs by precarious ones. The government claims that wages have recovered, forgetting that the recomposition of 2017 did not compensate for the fall of the previous year. In the biennium, there has been a 4.2% decrease in incomes in the private sector and 6.3% in the public sector. The weighted recovery of investment repeats the low percentage of 14-16% of recent years. The improvement in agriculture or construction hardly compensates for the decline in industry. Officials highlight the reduction in bond issues, omitting their replacement by indebtedness. Macri has turned the country into the main planetary issuer of public securities, at rates that exceed the regional average. This has already placed Argentina among the five economies most vulnerable to the effects of a possible international crisis. By any calculation methodology, the fiscal deficit has skyrocketed. The primary imbalance rose slightly at the beginning because of extraordinary income from laundering. But the financial component of the budget deficit has climbed with the interest on the debt. The tax slump (6-7%) already borders on the same figures as in the large economic earthquakes of the past. This cluster of imbalances led to the unexpected December devaluation. The same bankers who supported the rise in the price of money (to profit from the recycling of Lebacs [local currency peso-denominated central bank notes]) were frightened. They observed with concern the dollar’s lack of synch with domestic prices and the potential volcano surrounding indebtedness. The government has already covered half of its financial needs for the year, but doubts about its future capacity of payment remain. The trade deficit is the highest in the last 40 years and the flight of capital is incessant, involving 84 of every 100 dollars entering, the same level as under Kirchnerism. This scenario increases the passing of bucks within the economic team. Those who demand higher interest rates and a halt to bond issue collide with supporters of devaluation and the pumping up of the level of activity. It is a discussion with no way out without causing the same disaster. As there is no growth or investment, there is little space for any alternative. Macri announces that “the worst is over” when the worst is yet to come. At the beginning of 2018, the recovery in GDP has slowed down. The official forecast for inflation (15%) lacks credibility, against a wave of tariff increases for public services. As the government validates the upturn of the dollar, the inflationary bonfire expands. The ruling party hoped to rein in prices by holding back wages, but this reduces consumption and extinguishes the sole engine of GDP, given the stagnation of investment and the decline of exports. To make matters worse, the fiscal slump threatens the continuity of public works as support for the level of activity. Faced with the bleak economic scenario, officials improvise justifications. They repeat the pretext of the delay and predict a happy future for mid-2018, as a result of the adjustments made in tariffs and the exchange rate. But that reading ignores the fact that inflation continues to undermine both variables. Economists of all stripes raise their voices. The bogging down of the current program is evident and it is debated whether the failure is reversible or has ignited a pump with uncertain date of explosion. Also, the strategists of the PRO seek new explanations for its inoperability. They argue that the “inheritance was heavier than imagined” and that they did not tell “the whole truth.” But that commonplace – repeated by all governments to export blame – has little audience, since the imbalances inherited were not on the scale of the hyperinflation of 1989 or the collapse of 2001 and were accentuated by the measures adopted by Cambiemos. The cost of gradualism is the most common justification for the failures. It is argued that a slow pace of changes also generates lethargic results. But that diagnosis does not clarify anything. It justifies what does not work, assuming that by pressing the accelerator different effects would be observed. It is simpler to perceive the opposite: the current disaster would be infinitely worse with a higher dose of the same recipe. If the course was correct, the green shoots of the magnificent future that Macri predicts should be emerging. In fact, the opposite is observed: the advance payment on the future hecatomb being prepared. Gradualism is just a pretext to justify the debt. Before it was presented as the foundation of productive investments and now it is accepted as a tap to cover current expenditure. The gradualist argument establishes in fact the enormous dimension of popular resistance When the government says that an “abrupt adjustment would unleash social war,” it recognizes the frontal opposition that exists to its abuses. This rejection explains the limited profile of the permanent aggressions of the government. The impotence of Macri has also multiplied criticism from the Neanderthal right. They question the slowness of the adjustment from a perspective of pure savagery. They rant against officials who “do not dare to fire public employees” and they proclaim the non-existence of solutions “without a painful shock.” Obviously, they exempt themselves from suffering the tragedy that they promote for the rest. Among the well-off classes, there are no potential victims of the impoverishment advocated. The rightists also do not offer any indication of the promised renaissance that would result from the shock. They usually do not mention that in the 1990s the “surgery without anaesthetic” they now promote as an innovation was tried. Nor do they remember that the collapse of 2001 was an effect of that experiment. The background of the problem does not lie in the pace of the model. Both gradualism and its acceleration lead to a gloomy result. Macrismo also revives old neoliberal beliefs to justify its setbacks. It attributes the decline of the economy to the gigantism of the state and to the consequent weakness of the private sector. But this forgets that state expansion was always a reaction to some failure of the private sector. The state rescued countless bankers, industrialists or agricultural proprietors from bankruptcy. It tried to compensate for the sterile behaviour of a bourgeoisie that invests little, capital flight and inflation. The problems of the economy do not originate in the state, but in the failed businesses of the dominant classes. The Cambiemos leaders replace this diagnosis with diatribes against populism. They contrast the demagogy of that ideology with the laborious attitude of the modernizers of Argentina. Macri especially praises the generation of the 1980s and rant against the populists who ruined the country. But he never defines the meaning of this demonized condition. He only suggests that some evil popular presence destroyed the paradise of the oligarchy. The neoliberals do not assign populism a concrete meaning. They identify it with the misadventures generated by Maduro, Kirchner or any adversary of the moment. The ideologists of the PRO are especially unaware of the great responsibility of their predecessors in the misfortunes that they denounce. They assume that since 1930 Argentina was managed by enemies of liberalism, forgetting all the rulers who anticipated the current economic policy. Macri did not invent the trade opening, the aggression against trades unionism or the plunder by foreign capital. It is an error to label the conservatives, the military, gorillas or Menemistas who managed the state as populists. It takes a lot of amnesia to recreate these deceitful foundational illusions. Their spokesmen proclaim that they need time to extirpate the “culture of the disproportionate,” which seeks easy solutions through caudillo saviours (Llach, 2014). But the most recent attempt of that redemption was faced by Macri himself, when he assumed that his figure would awaken the confidence required to solve the problems of the economy. The most sophisticated authors raise the same theses with some resentment. They accuse Argentines of “living beyond their means,” trapping the country in a nostalgic attachment to riches already extinguished (Gerchunoff, 2016). They attribute this mirage to the “psychology of the middle class” (Levy Yeyati, 2015) and challenge with great anger the “fantasy of consumption” of the last decade (González Fraga, 2016). A great belt tightening is called for. But they generalize to the whole of society the behaviour of the enriched, forgetting that waste is not a habit of the people. It is a privilege of minorities that waste resources denied to workers. Argentina did not become a desert. It preserves the same assets of the past but subjected to a greater predation or disablement. PRO theorists conceal those responsible for that stalemate and blame their victims. Liberals often combine bleak diagnoses with enthusiastic omens of opportunities for all. The myth of the entrepreneur synthesizes that reverie. It is supposed that with some savings, any individual can be enriched by private activity. Dismissal itself is presented as an advantageous possibility to create grills or breweries. With this illusion, they praise the conversion of stable workers into precarious ones. 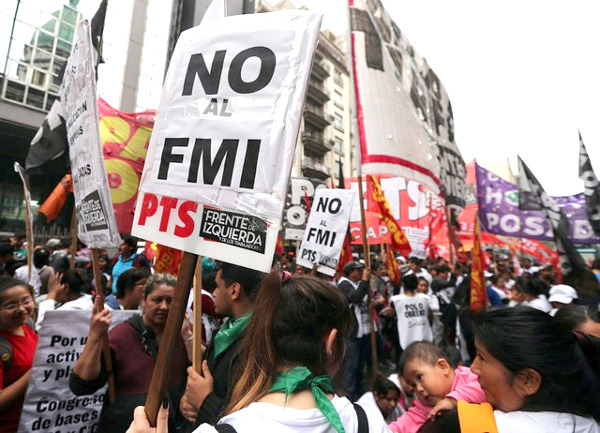 They avoid any balance sheet of what happened in the 90s, when unemployment generated by privatizations pushed millions of Argentines into the informal labour sector. In the same spirit of individualism, social plans are cut while the reduction of marginality is promised with a greater educational effort for those receiving social aid. An observation of the brutal aggression against teaching is enough to notice the hypocrisy of this initiative. How do they hope to train the unemployed if at the same time they destroy public education? But even after improving their educational qualifications, the bulk of the unemployed will continue without work. The lack of employment comes from the stagnation of the economy and not of the absence of graduates in primary or secondary schools. Liberal blindness not only prevents the recording of that evidence. It also assumes that citizens accept the sacrifices of the current model. The Macristas affirm that this understanding is reflected in the expectation of future improvements recorded by some surveys. The fear of a repetition of 2001 is a trauma still present in a large part of society. Ultra-rightist critics take advantage of this combination of discomfort and fear to unfold their demagogy. The hegemonic media sponsor their preaching and accommodates the characters who proclaim the inadequacy of the adjustment. Milei, Gaicomino, Espert, Broda, Artana always find a microphone to explain the convenience of a virulent cut in public spending. All advocate the pruning of wages and not the debt interest. They adopt poses of great irritation to channel general discontent toward a more regressive project. Later they tend to adapt to what the establishment needs. Cambiemos has recycled the old liberal belief attributing the Argentine crisis to corruption. But they forget that this scourge is often observed as an advantage by capitalists. It allows rapid profits, and in many economies, there is high growth with low transparency in the public administration. The engine of the system is profitability and not honesty. The false equation of institutional cleanliness with prosperity is a myth from the right to manipulate public opinion. The traditional pretext of military coups is lately used to point out that the money lacking in hospitals and schools was monopolized by the Kirchner government. But this belief clashes with the current scale of tax theft. The kleptocracy that the government handles blatantly privileges its private businesses. The sale of capitalized companies with confidential information is an in-vogue mechanism for these scams. Several companies linked to the presidential family favoured by official measures were sold at high prices (tolls, wind parks, air transport). Macri’s crony (Nicolás Caputo) left his construction company in the same manner and his cousin (Calcaterra) is negotiating a similar deal. All cabinet members shore up their businesses from both sides of the counter. Aranguren awards Shell, Quintana Farmacity and Braun the supermarkets While proclaiming the absence of conflict of interests, they transfer fortunes to their own companies. Only the manipulation of the judges and the shielding of the media blocks the spreading of these scandals. It is evident that Macri heads a government of capitalists, delegating the management of the country to its proprietors, forming a cabinet of CEOs that has moved its management model to all levels of the public sector. A large segment of the electorate endorsed this, imagining that it would stimulate the investment of the bourgeoisie. Cambiemos encouraged that belief, presenting its ministers as patriots, who had renounced large private incomes to serve the nation. Two years have been enough to deny these fantasies. Each minister manages their radius of influence as a business plan. But this embezzlement has not been as unexpected as the incompetence of the CEOs. They exhibit a much higher level of inefficiency than their political peers. The lack of control of expenditure and the absence of a clear command in the economic area means that disorder prevails. The current chaos is also due to the predominance of the financiers. The bankers impose a crazy indebtedness that will face the next generations. They do not act as simple commission agents. They manage their fortunes with offshore companies to evade taxes, cover up fraud or launder money. All the leaders of the PRO (Macri, Caputo, Aranguren, Grindetti, Avruj, Clusellas) hide their money in tax havens, reproducing the behaviour of the main capitalists (Mindlin, Elsztain, Galperín), who carry out their big operations through offshore accounts. For their part, the ministers locate their personal assets abroad, while they call for strengthening national savings. In the height of hypocrisy tax collection has been delegated to an expert in evasion. The new head of the AFIP (Cuccioli) specializes in protecting millionaires who evade tax obligations. Argentina already ranks fifth in the world ranking of evasion and with Macri will remain located on that podium. The enormous influence of the bankers overshadows the initial favouritism enjoyed by the agro-mining lobby. Soy, lithium, and oil are the main businesses on the agenda, but no subsidy compensates for the torrent of money captured by the financiers. In addition, old conflicts persist with international seed suppliers (Monsanto) and the governments extolled by Macri are closing their markets in Europe and the United States. The continued appreciation of the exchange rate and the effects of the drought anticipate new tensions. But the biggest clashes involve industry. Although the leadership of the UIA supports the government – posing a drastic demolition of employment rights – the bulk of the sector suffers from the opening to imports. The huge trade deficit illustrates the magnitude of this invasion. The conflict with industry assumes dramatic contours with the closure of businesses. A haemorrhage of suspensions, bankruptcies and layoffs affects all manufacturing areas. The project of converting the Tierra del Fuego plants into empty spaces for tourism illustrates that devastation. This scenario has many similarities with Menem. Macri takes up the same adaptation of the Argentine economy to the requirements of neoliberal globalization. Analogies extend even to the personnel implementing this remoulding. The same rightists return to occupy key state positions. It is evident that with a new rhetoric Macrismo is repeating the 1990s. This policy demolishes the social fabric and expands misery. The widespread image of a project for a third of the population (with no place for the rest) portrays the current model. The destruction of stable employment reproduces the helplessness that Menem bequeathed. But there are several differences with that precedent. Cambiemos face a popular resistance far superior to that prevailing in the 1990s and have paid a high cost for each aggression. In December, it perpetrated the looting of retirees in Congress but lost the battle in the streets. As the current relationship of forces prevents it from moving forward, it is betting on re-election to impose the adjustment. But it will need many fortunate alignments to pull this off. Macri buys into the same fantasies as Menem. He assumes that the world supports him and he takes seriously the pathetic compliments he receives from the West. He does not register how much has changed on the international scene in recent decades. The euphoria over privatization in Latin America is already history and the markets of the big powers are closed to Argentine exports. The powerful of the world try to do their business in the country without offering anything in return. After provoking Macri with disparaging treatment, Trump breached his promise to reopen US purchases of lemons. He also blocked the sales of biodiesel and now steel. In Europe the same behaviour predominates. No government has agreed to buy meat or biodiesel in exchange for an agreement with MERCOSUR, which would nullify the prerogatives of the state in the management of public tenders. Disappointment with the West has forced the PRO helmsman to forget his criticism of Russia and China, with improvised emergency visits to those countries to beg sales, credits and investments. The “return of Argentina to the world” entails an inexhaustible accumulation of troubles. Also, on the internal level, the comparison with the 1990s is unfavourable to Cambiemos. As Macri came to power without the nightmare of a previous hyperinflation, he has not been able to profit from the mirage generated by convertibility. The structural inflation suffered by Kirchnerism – due to the restriction of supply before a recomposed demand- has been replaced by the typical redress of devaluation and tariffs. As in the 90s, the appreciation of the exchange rate destroys production and weakens exports. But the most dramatic resemblance to the past is in indebtedness. The government has reserves and margin to continue taking loans, but it feeds a dangerous escalation. Any distrust from the creditors or unforeseen international adversity can unleash disaster. Macri has placed the country in this trap again. The neoliberals conceal the problems of the economy with daydreams. The latest trend is to present Colombia and Peru as the models to follow (Espert, 2017). Curiously, this South American comparison ignores Bolivia, which has had the most intense pace of growth of the last decade. Traditionally rightists emulated the United States or more recently Spain and Italy. The fact that they now postulate the imitation of underdeveloped economies is a confession of what they imagine for the future. They try to transmit a sweetened vision of the extractivist models, hiding how they increase social exclusion. But they also do not explain why Argentina attracts immigrants from those nations (and not vice versa). Their account also forgets that Colombia or Peru lack an industrial structure, which neoliberalism aims to demolish in our country. Other exponents of Macrismo call on us to follow the path of Australia (Levy Yeyati, 2016), as if Argentina had possibilities of choice. They do not know that the distant nation in Oceania has a lower population density and a higher percentage of natural resources per inhabitant. They forget its complementarity and agricultural rivalry with the United States and its proximity to Southeast Asia which has allowed it to convert its primary exports. It also maintains a structure of social equality and has never faced the tensions of any Latin American country. In their comparative zeal, PRO propagandists avoid evaluating the similarities with Brazil. There the same industrial regression and reliance on export-oriented raw materials as Argentina has taken place. Volatilities of capital are also observed, and the peaks and troughs of GDP are very similar. But the industrial retreat of our country is much greater. It is enough to observe the trade balance between the two nations to register that decline. Argentina was industrialized before with a more solvent internal market and social conquests of a superior scope. That is why it faces a greater maladjustment to the demands of profitability of capitalist globalization. The principles of competitiveness and productivity – which neoliberals deify – are the misfortunes that this system imposes on the popular majority. Argentina has lost the privileged place it had in the past in terms of exports of meat and wheat. Soy does not fulfil the same multiplying function of other productive activities. The bankruptcy of integral agriculture and the irruption of mining extractivism accentuate the elimination of jobs. 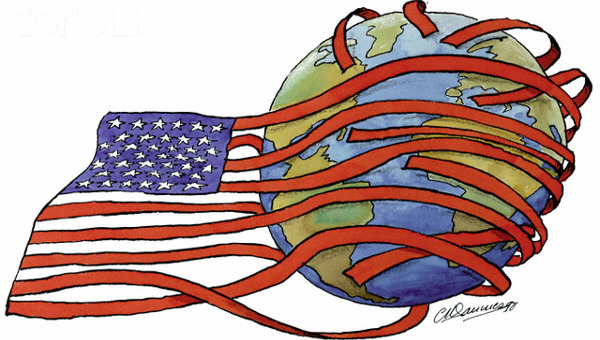 Neoliberal globalization is a nightmare for the capitalist restructuring of the country. That is why a permanent setback has been stabilized that condemns a third of the population to the informal employment sector. The structural assistance that the public budget has incorporated illustrates that harsh reality. It is an outpouring of the popular struggle, which has become indispensable for social reproduction. While Macri points to the mirror of Europe, the social data relate the country to the rest of Latin America. Many who object to the current course avoid evaluating the difficulties faced by an expansive reconversion of Argentina. They observe capitalism as an immovable fact and reduce all the misadventures of the economy to the mistakes of the model in force. They oppose the project of Macrismo with a neo-developmentalist policy, which would allow us to support a path of growth and inclusion. This contrast is stressed by the defenders of Kirchnerismo, who stress in particular the differences between the two models in the evolution of wages, indebtedness, imports and tariffs (Scaletta, 2017). But this approach forgets the common capitalist substratum of the two schemes and their consequent adaptation to different moments of accumulation. neo-developmentalism emerged in to make amends for the 2001 debacle. It tried to revitalize industry with state aid, low interest rates and competitive exchange rates, without removing the agro-export model. Because of this limitation, it once again depended on the international situation and could only prosper while export prices were high. In that period, it recomposed production and sustained growth with the influx of dollars. But keeping the foundations of underdevelopment intact, it was paralyzed by the adverse change in the international context. Then the bottlenecks re-emerged, the consumption incentive stopped working and the fiscal deficit re-emerged with high inflation. CIFRA (2018) Informe de coyuntura, nº 26 Febrero. Mariano Barrera, Ana Laura Fernández, Mariana González y Pablo Manzanelli. Llach, Juan J; Lagos, Martín (2014). En el país de las desmesuras, La Nación , 26-9. Gerchunoff, Pablo (2016). 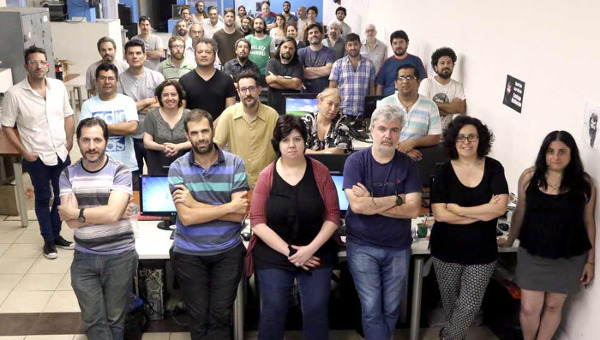 “La Argentina está en una trampa y no está condenada al éxito,” Clarín , 2-10. Levy Yeyati, Eduardo (2015), “Una explicación psicológica a la decadencia económica argentina,” Infobae , 12-7. González Fraga, Javier (2016). “Le hicieron creer al empleado medio que podía comprarse plasmas y viajar al exterior,” La Nación , 27-5. Levy Yeyati, Eduardo (2016) “La trampa del desarrollo argentino,” La Nación , 17-9. Espert, José Luis (2017). Argentina debe imitar a Perú y Colombia, 13-3. Scaletta, Claudio (2017) El shock macrista , Página 12, 24-9. 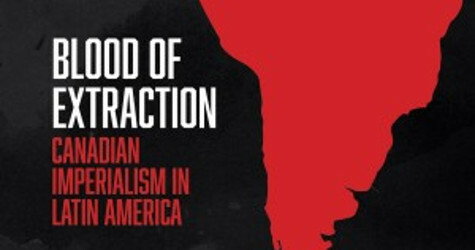 This article first published on the socialistaction.org website. 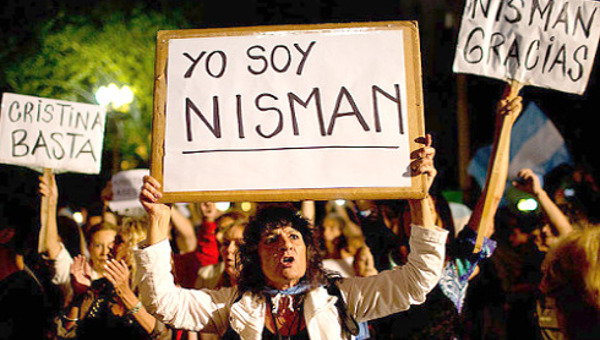 Alberto Nisman’s Death and AMIA: Who Cares About the Truth?